At its meeting on 12 December, the Orakei Local Board formally endorsed the Stonefields Heritage Trail Concept Plan which will provide a new public walkway along the old Winstone’s quarry haul-out road. This is a legacy project from the former Eastern Bays Community Board and has been endorsed and progressed by the Orakei Local Board, which has also consulted with the Maungakiekie-Tamaki Local Board, as part of the trail lies within that Board’s area. The walkway will link Gollan Road and Magma Crescent and will provide pedestrian access for Stonefields residents. The Orakei Local Board hopes that public access from the walkway to the Lunn Avenue shopping precinct will be possible, benefitting local residents and commercial operators. As part of the Board’s wider walkway strategy, the trail will also provide a connection between the Waiatarua Wetlands Reserve and Maungarei/Mt Wellington. The concept design will also protect and enhance existing geological, ecological and archaeological features, including the original Stonefields Reserve. In 2001 Winstone’s Quarry was purchased by Landco Limited, (Todd Property) and the Stonefields master planning process started. A network of neighbourhood parks, the preserved stonefield garden area (Stonefields Reserve) and a pedestrian trail using an old quarry haul-out road were integrated into the master plan. The ownership of the quarry haul-out road is in the process of being transferred to the Council. A concept plan for the trail has been developed after months of extensive investigation, assessment, consultation and design proposals, and review at Board workshops. 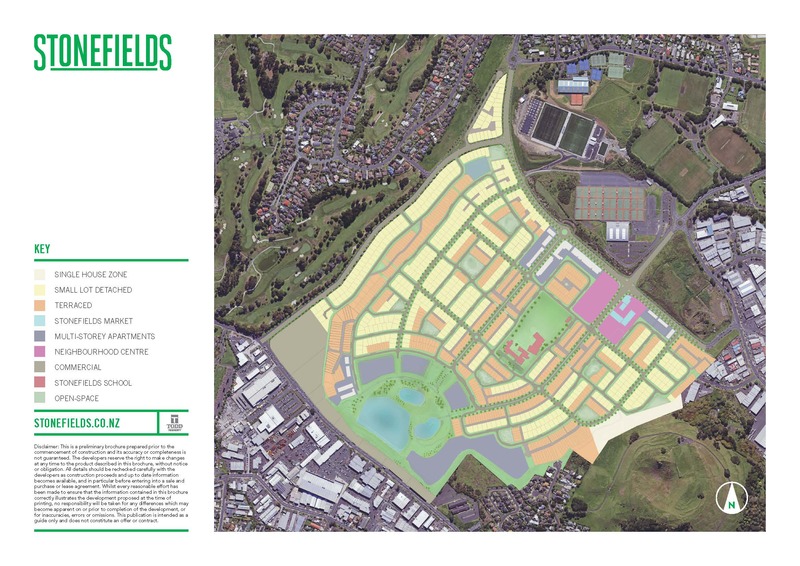 In September 2013, the Stonefields Residents Association and the Orakei Local Board held a public open day for the local Stonefields community to give feedback on the draft concept plan; more than 100 people attended and overall, the response to the draft was very positive. The Board and the officers have carefully considered the responses received when finalising the concept plan, including the desirability of lighting along all or parts of the trail. The cost and feasibility of these are being investigated. The walkway will be funded principally from the legacy financial development contributions from the Stonefields development. However, these development contributions are insufficient to develop all of the proposals within the Concept Plan and implementation of parts of the plan needs to be staged and budgeted for. Nonetheless, the Board has been advised that the available budget will cover the installation of the safety balustrade and the transition area where the grade is quite steep, and initial consenting costs. (h) requests that negotiations be urgently progressed to secure access ways to the three defined areas as indicated in the Stonefields Heritage Trail Concept Plan.